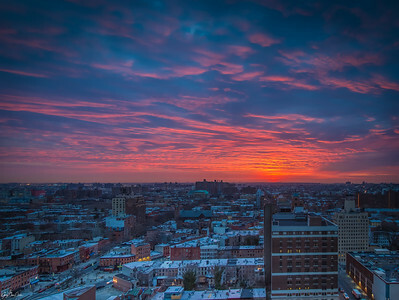 A beautiful sunrise over Brooklyn, New York City. 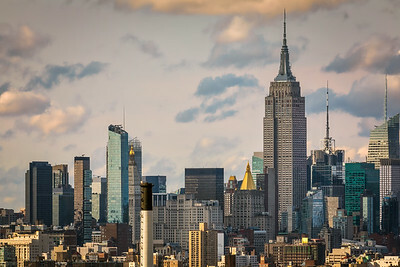 Skyline of New York City and the Empire State Building taken from Fort Greene, Brooklyn. 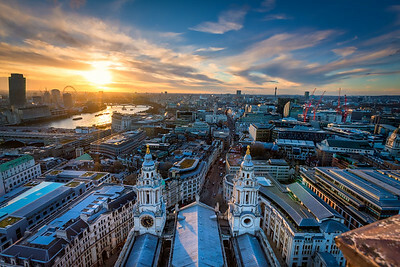 As the sun sets on London we start the descent from atop St. Paul's Cathedral. 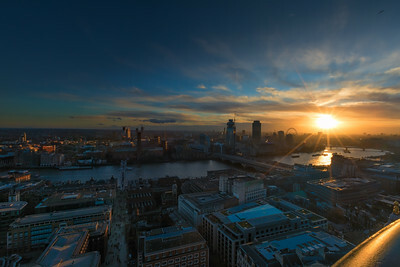 Watching the sun go down on London from the top of St. Paul's Cathedral. 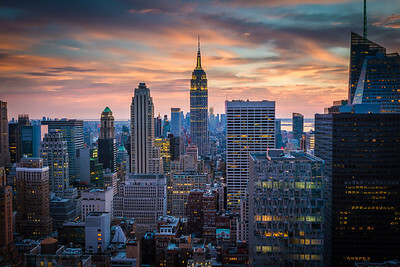 Saturated in more ways than one...that's what makes it New York City! 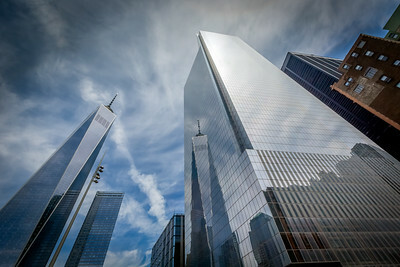 One World Trade Center's reflection on 4 World Trade Center down at Ground Zero in New York City. 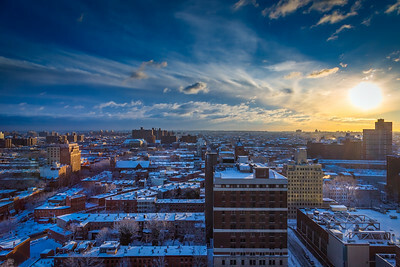 Watching the sun rise over Brooklyn on a winter morning in February. Rooftops and streets covered in snow. 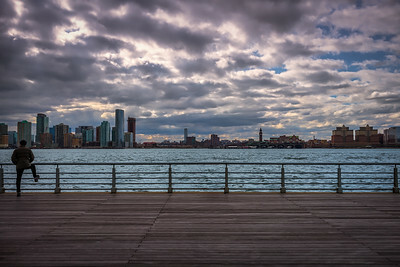 As we were walking along the pier that takes you to the exhaust structure for the Holland Tunnel, we saw this beautiful view of lower Manhattan. 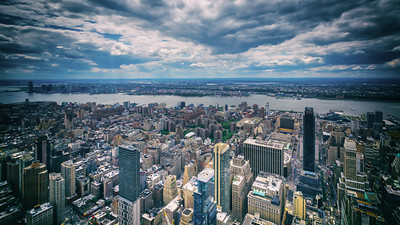 Looking South West from the Empire State Building. 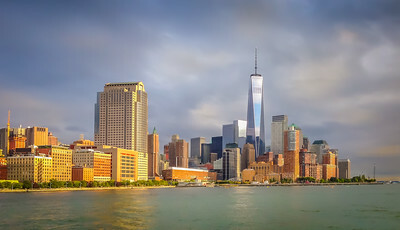 The Hudson River and Jersey City are in the background. 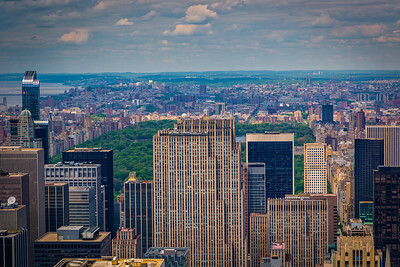 From the Empire State Building looking north torwards the Top of the Rock and Central Park. 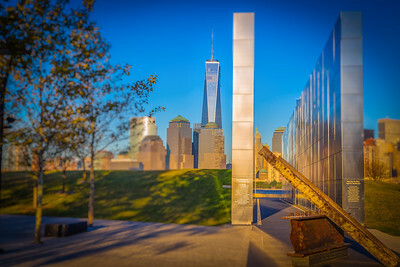 Empty Sky Memorial in New Jersey's Liberty State Park. Metal from the 9/11 attacks were brought here to this memorial to commemorate the lives that were lost. The 2 parallel walls are engraved with the names of New Jersey's 746 lives that were lost during the September 11th attacks. We decided to visit the Top of the Rock in Rockefeller Plaza. We liked this observation deck better than the observation deck in the Empire State Building. 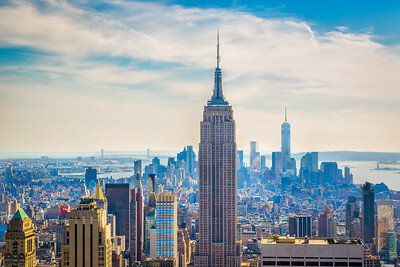 We had a great view of the entire City of New York. 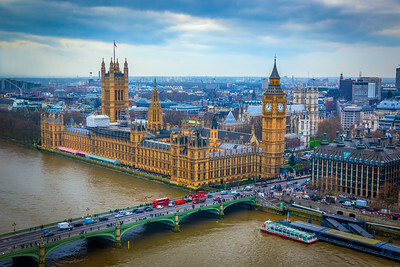 The Palace of Westminster on the River Thames in London, England taken from the London Eye. Portcullis House is across the street with offices for the members of Parliament. A silhouette of the Statue of Liberty, a gift to the United States from the people of France as it sits in New York Harbor. Ship cranes mark the horizon as the sun sets in the western sky. 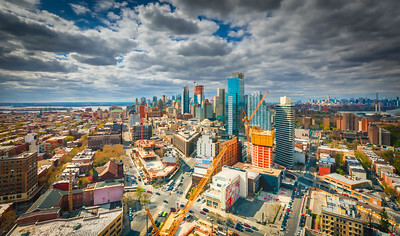 A view from Fort Greene, Brooklyn towards Downtown Brooklyn. Construction cranes are scattered as new buildings come up. 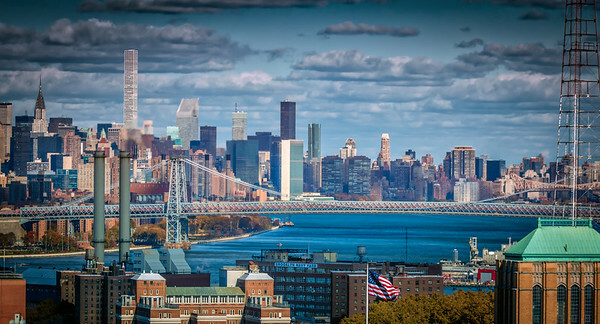 Manhattan is in the background. 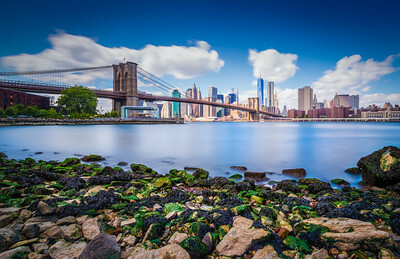 This is a panorama (3 images) of Manhattan Bridge with Manhattan on the left and Brooklyn on the right with Jane's Carousel near the bridge. The Williamsburg Bridge can be spotted in the background.